Bartow, FL- May 13, 2014 – Bartow Ford Co. celebrated 21 years of Drive for Excellence by honoring 20 Polk County Junior and Senior finalists for their educational excellence on May 10, 2014. This year’s winner Jacqueline Sullivan, a senior at Lake Region High School, waited for a suspenseful 19th in line to try her chances at unlocking the grand prize, a 2014 Ford Mustang. As one of the few students in Drive for Excellence history to be selected two years in a row as a qualifier, Jacqueline was no stranger to the anticipation. “Since I was 19th and there were 18 kids ahead of me I didn’t think my odds were good for winning but I apparently was wrong,” explained the 12th grader. “Now I feel really good. It was a huge shock I felt like I was dreaming was, my first thought,” she continued. 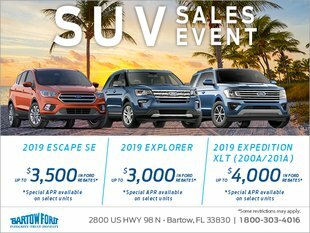 The Bartow Ford Drive for Excellence program was established to encourage excellence in education among Polk County Juniors and Seniors. 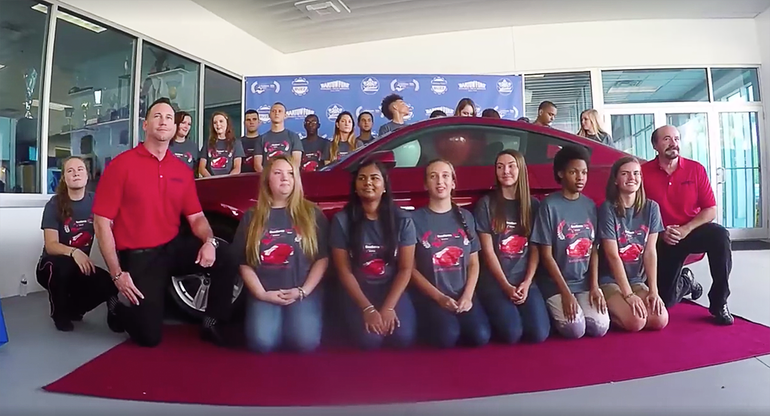 For over two decades, it has offered local students, who achieve A’s, B’s and perfect attendance, the chance to be drawn as a top qualifier for the opportunity to win a new Ford vehicle. “We think of our community as our customers and as family; Drive for Excellence is our chance to bring everyone together. It gives us the opportunity to give back to the students who have worked hard; this is their reward,” concluded Benny Robles, Jr., Partner and Pre-Owned Director. Qualifiers and guests of the event were treated to a photo prop booth, refreshments, and live music and raffles, courtesy of 97 Country/WPCV.